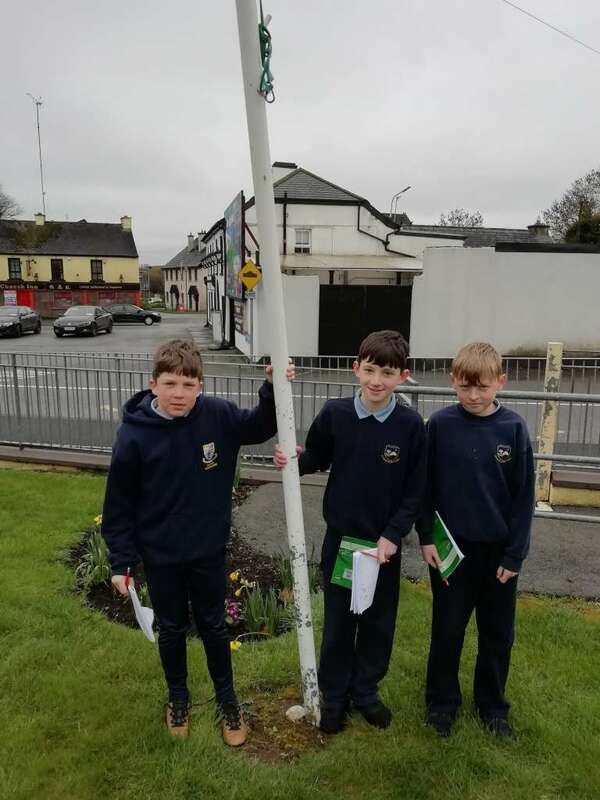 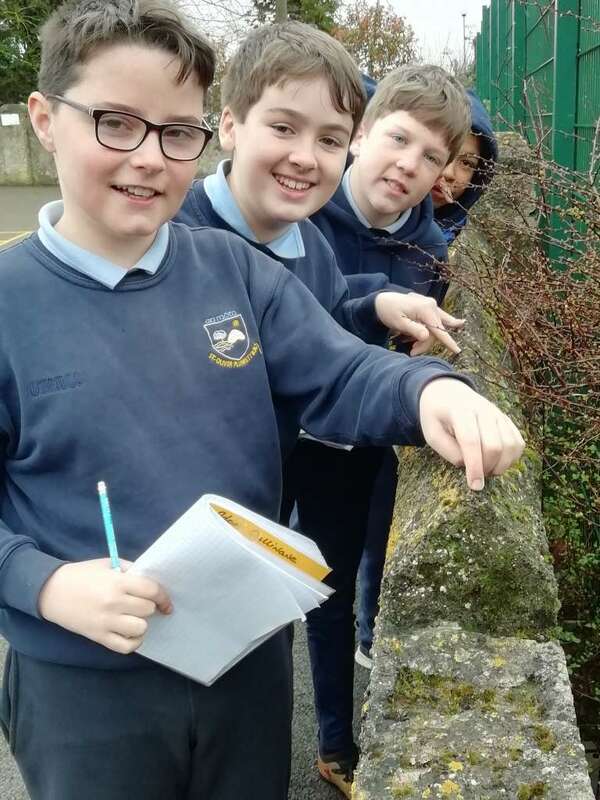 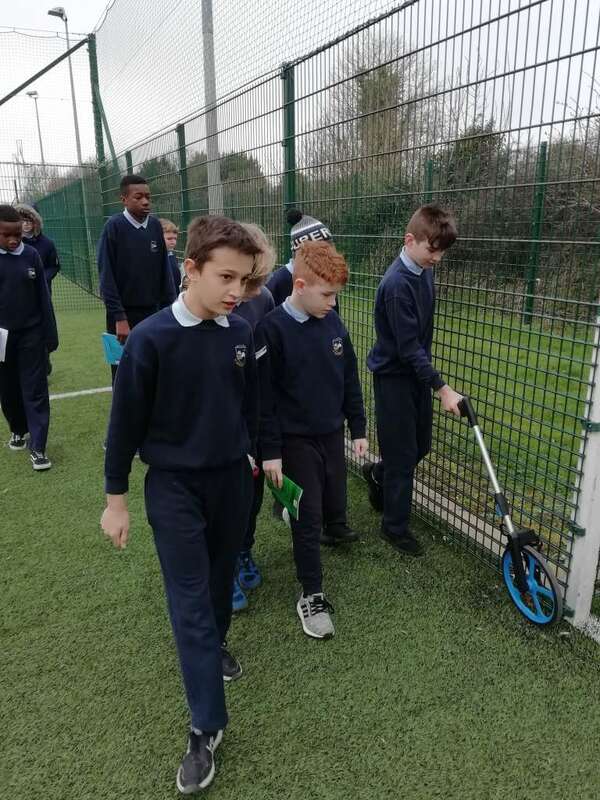 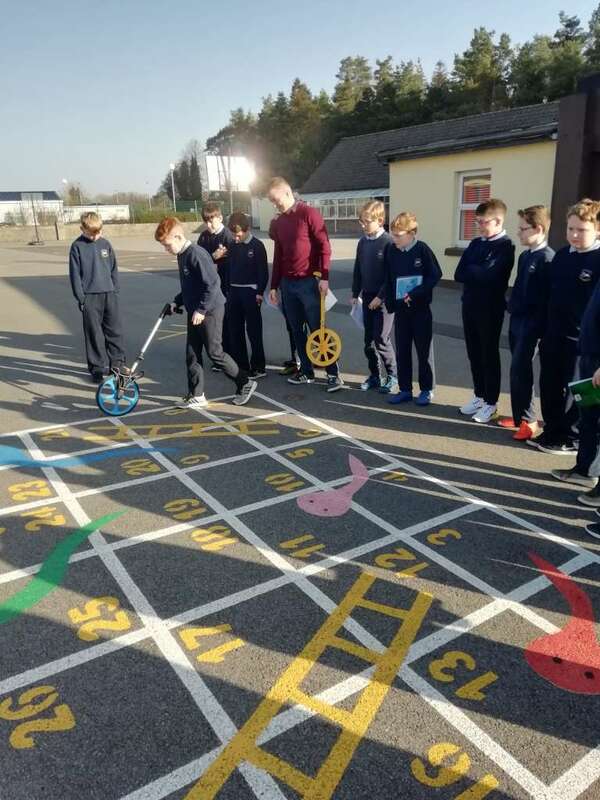 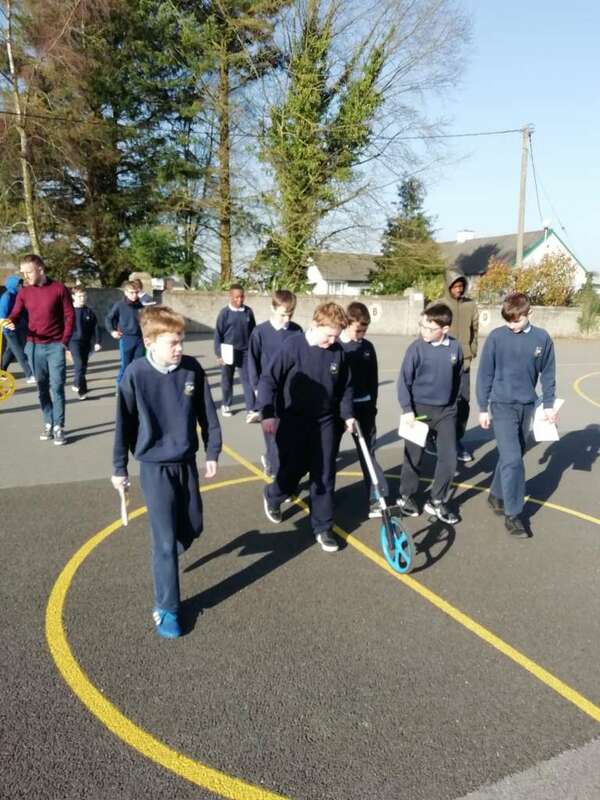 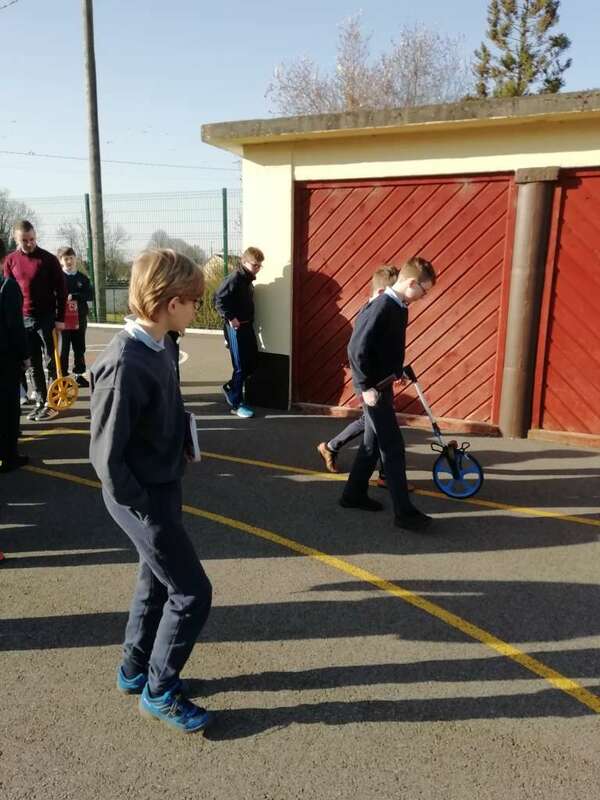 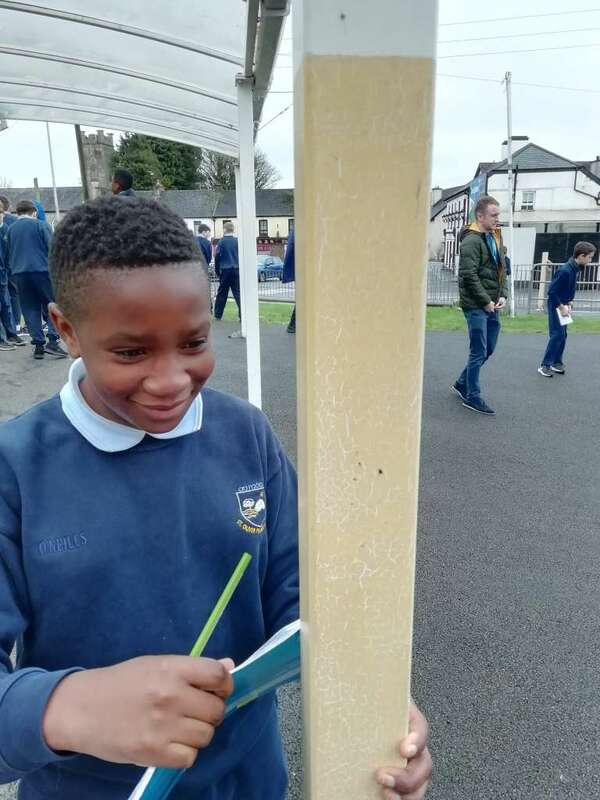 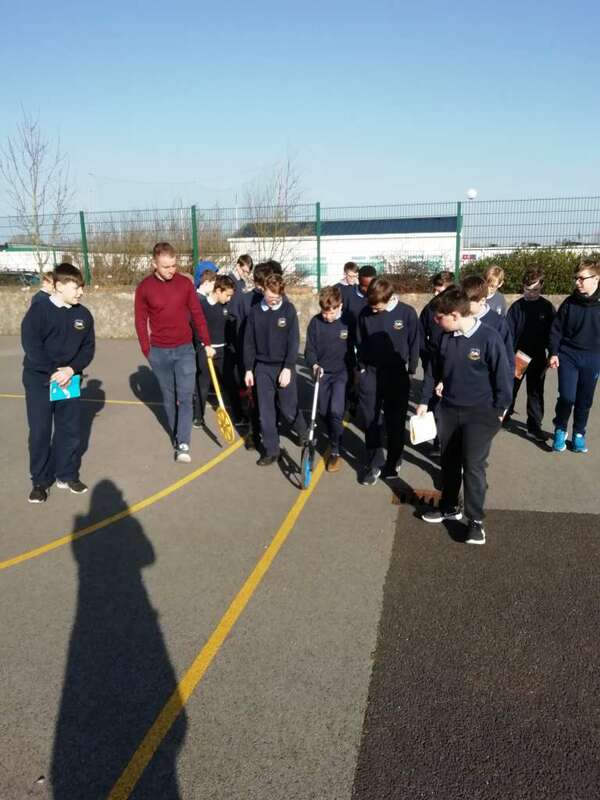 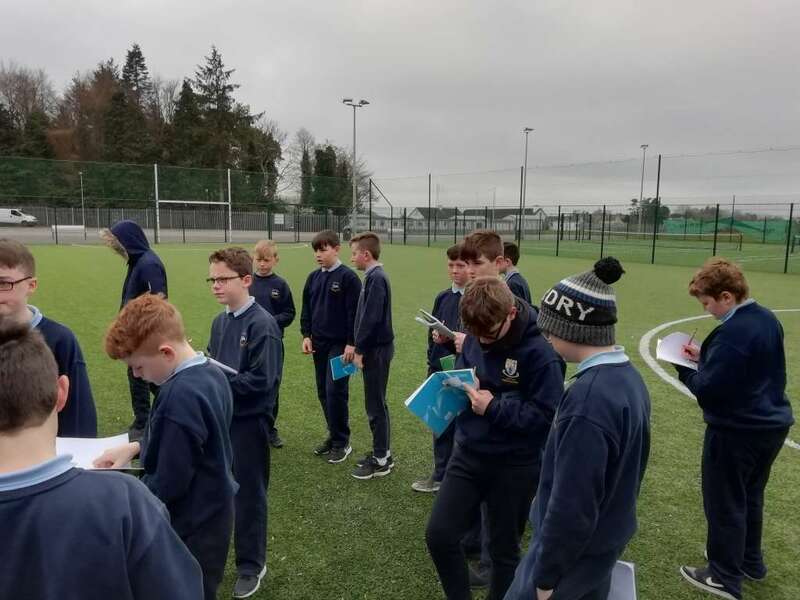 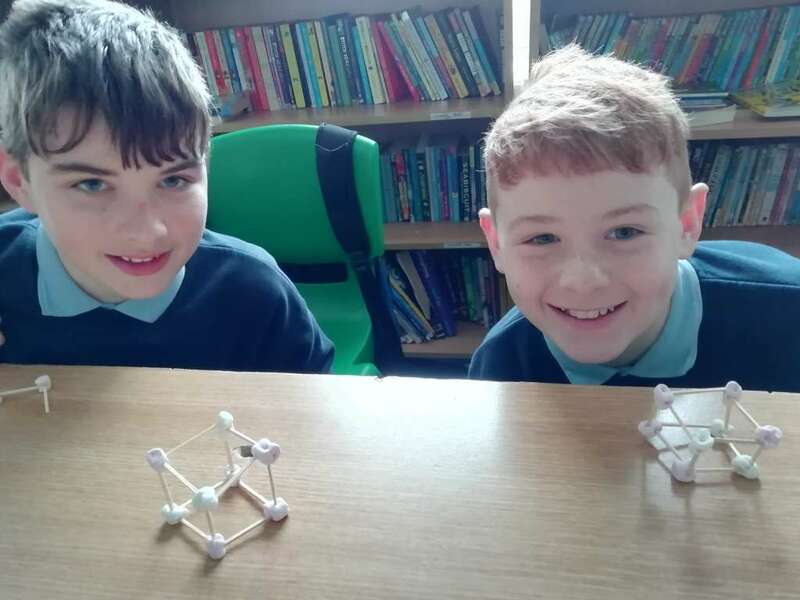 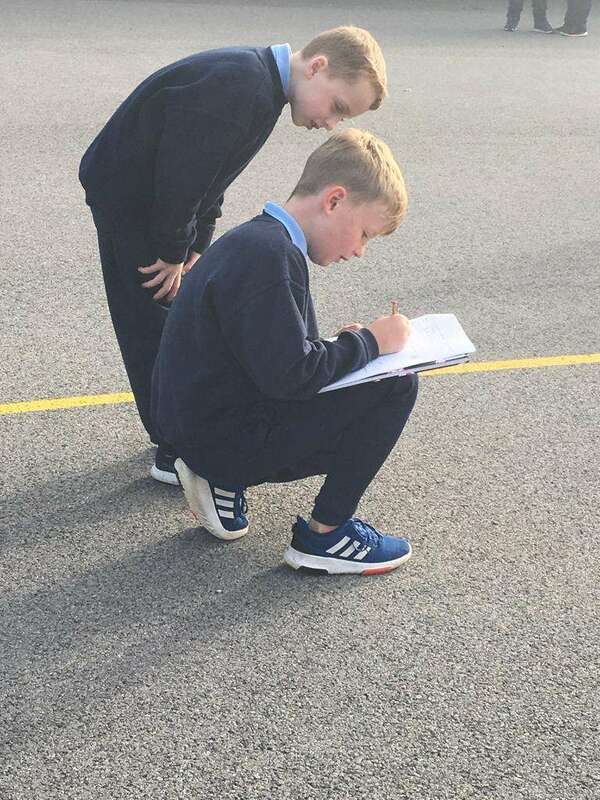 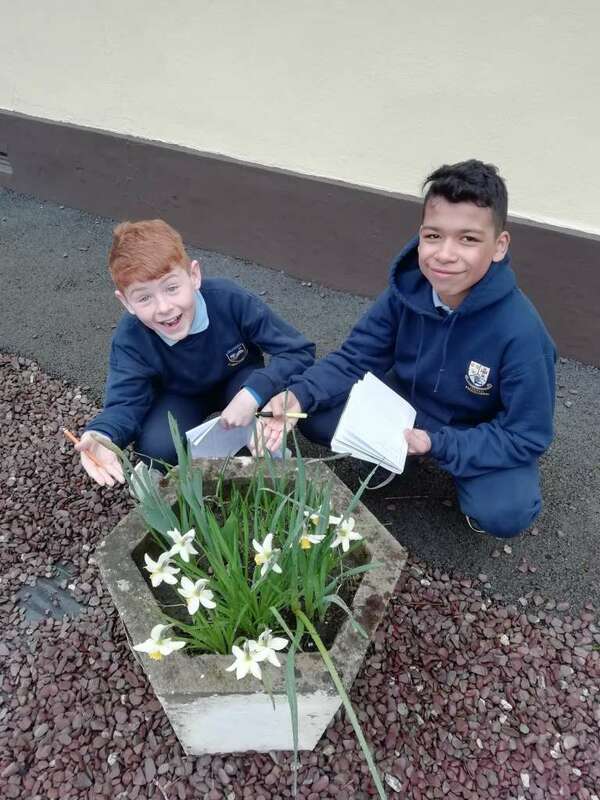 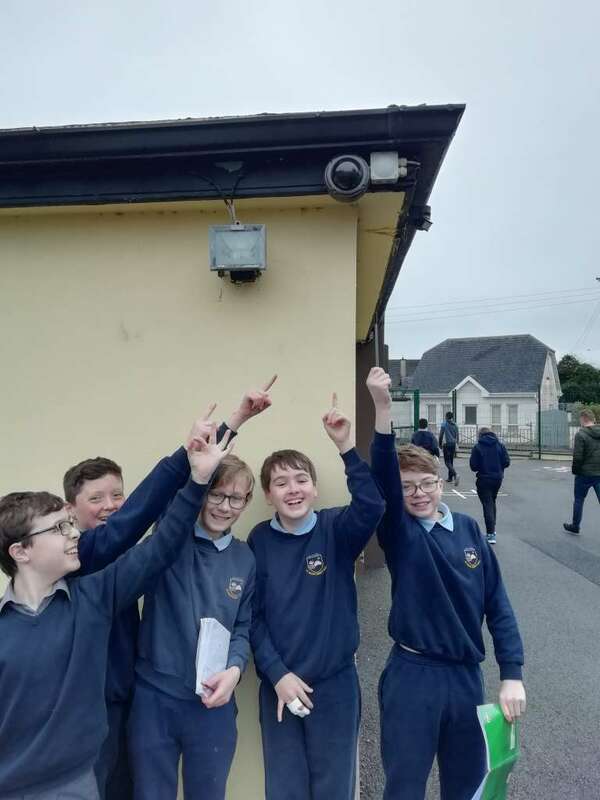 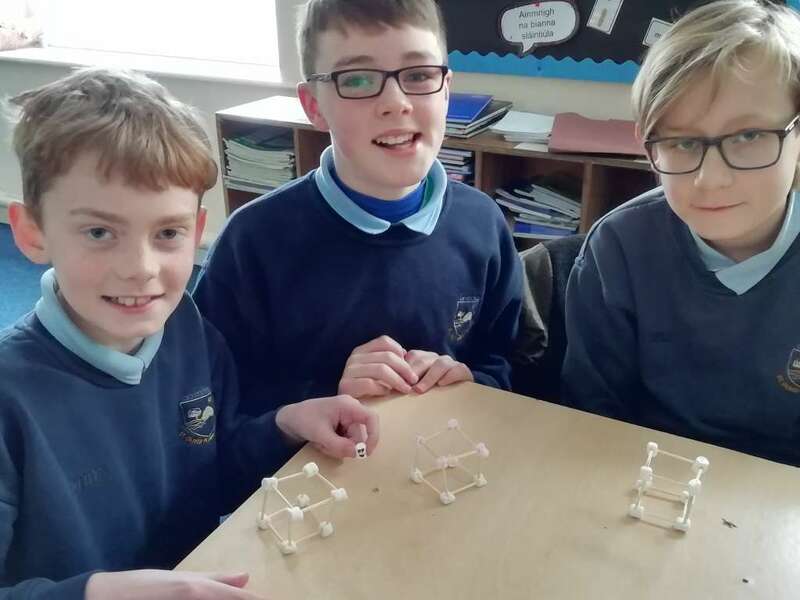 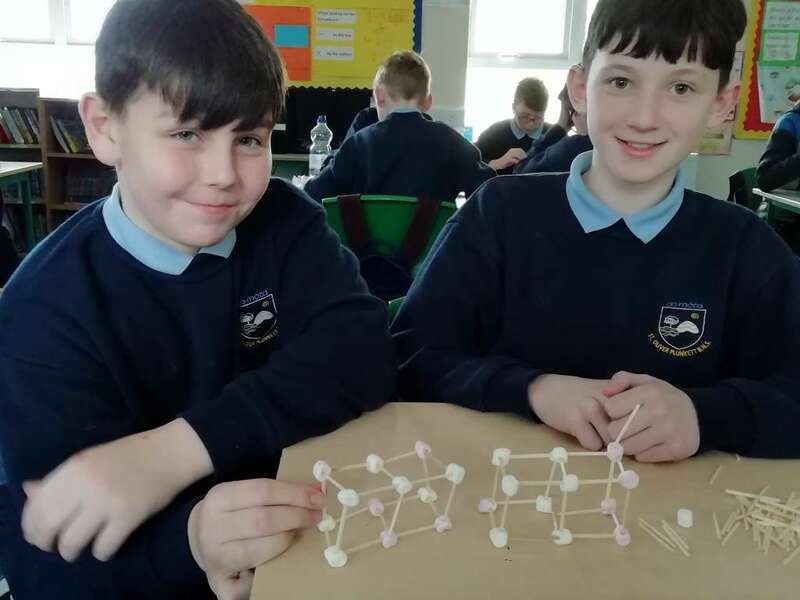 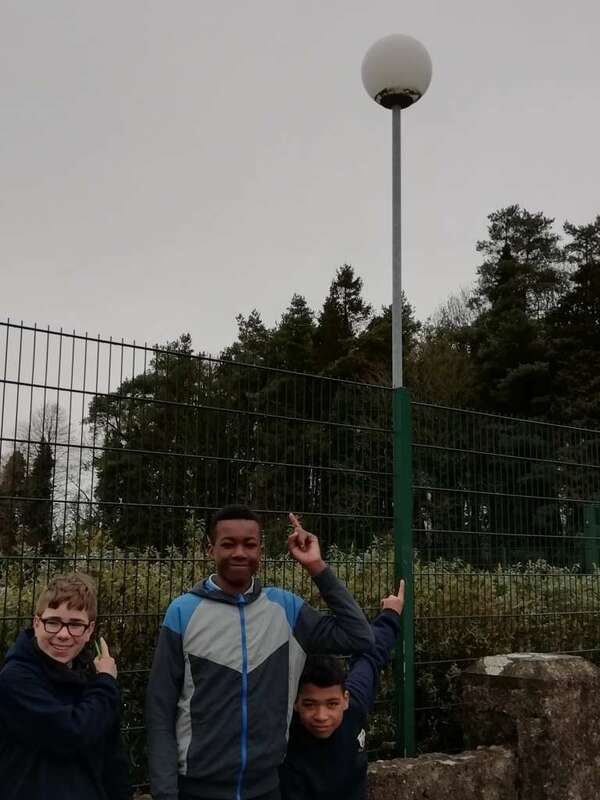 Taking maths outside 5th and 6th class went on the search for 3-d shapes around the school including pentagonal prisms, hemispheres and various pyramids. 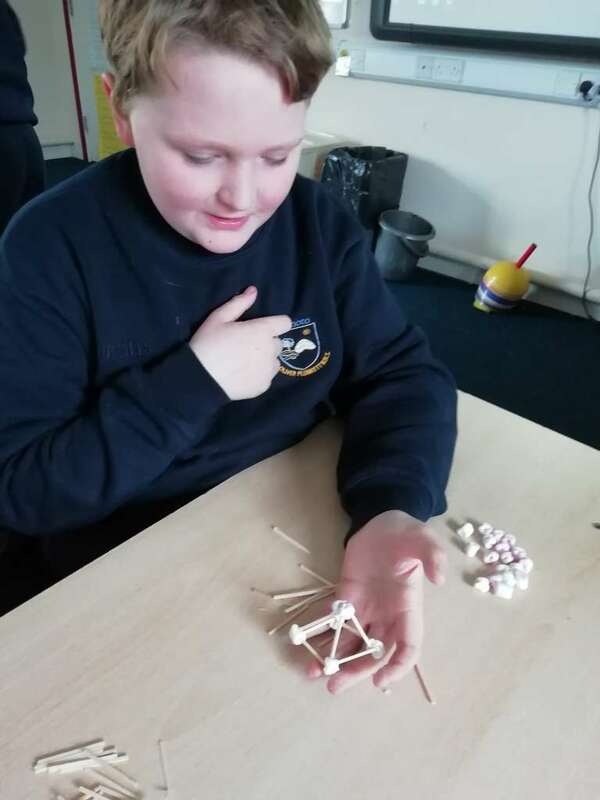 Then it was time to build some of our own 3-d structures using marshmallows and sticks. 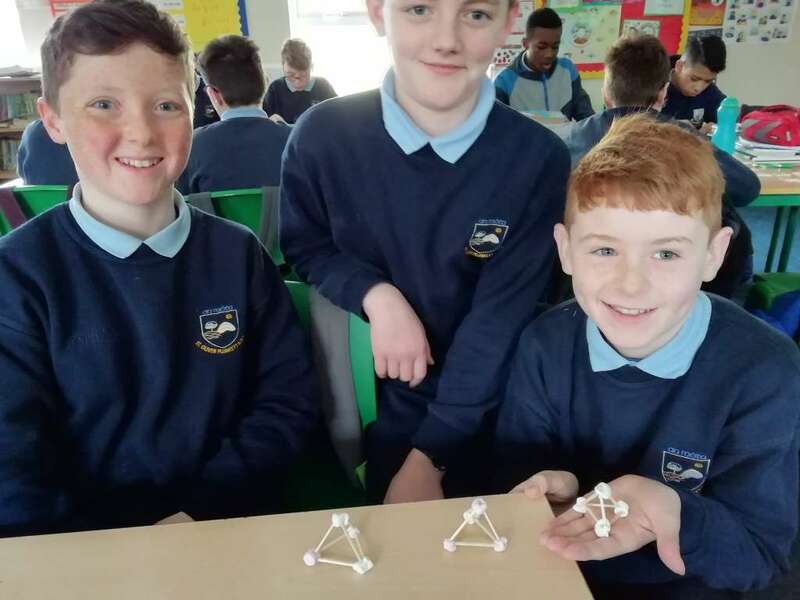 We discovered that the triangular structures were the strongest. 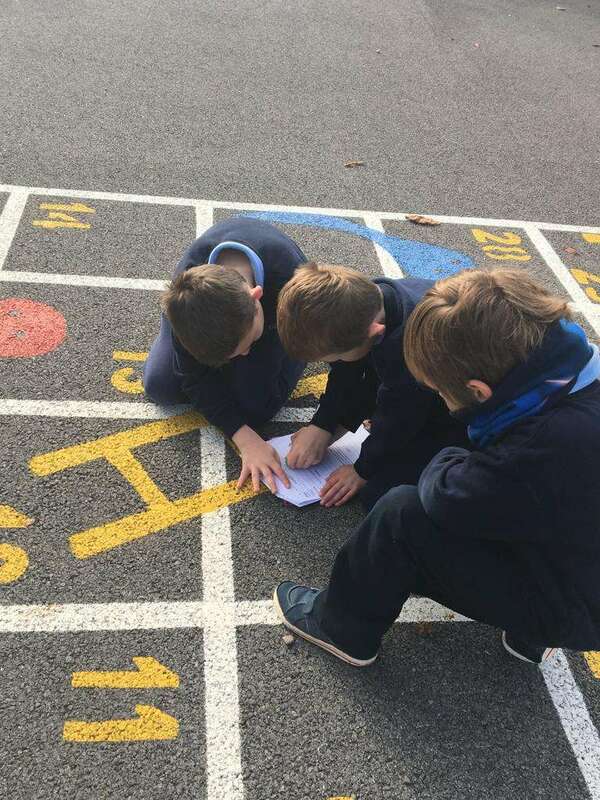 Mr. Keena’s class have been busy investigating perimeter in maths. 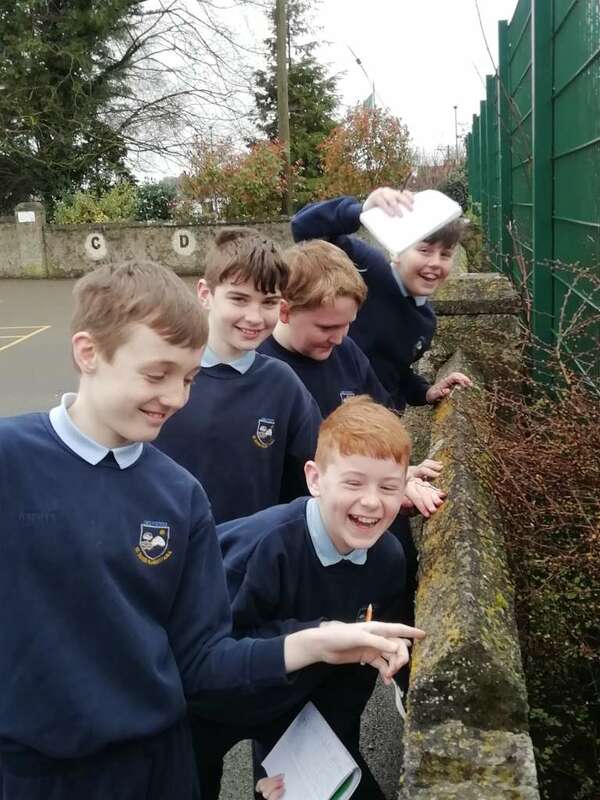 After getting to grasps with the methodology it was time to take it outside and get a hands on experience of perimeter. 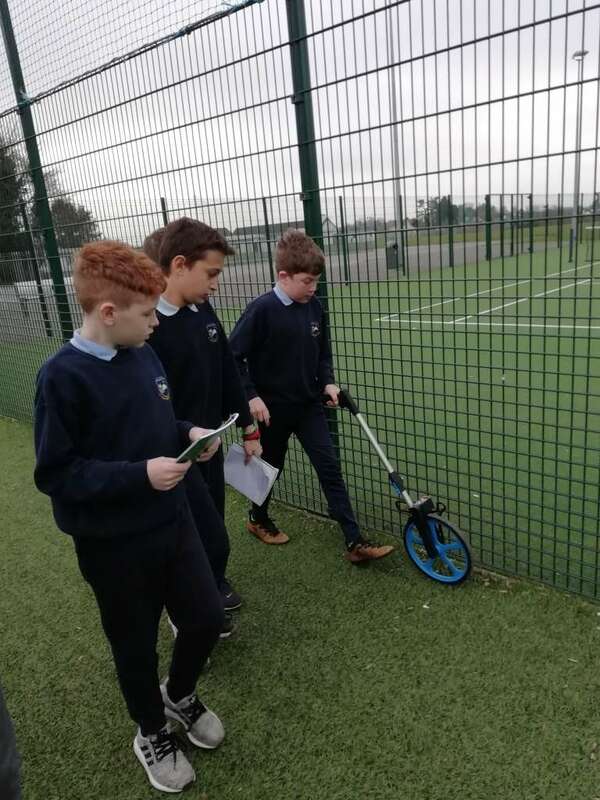 Firstly, using a trundle wheel we measured the perimeter of our basketball court before heading to the astro-turf to get its measurements. 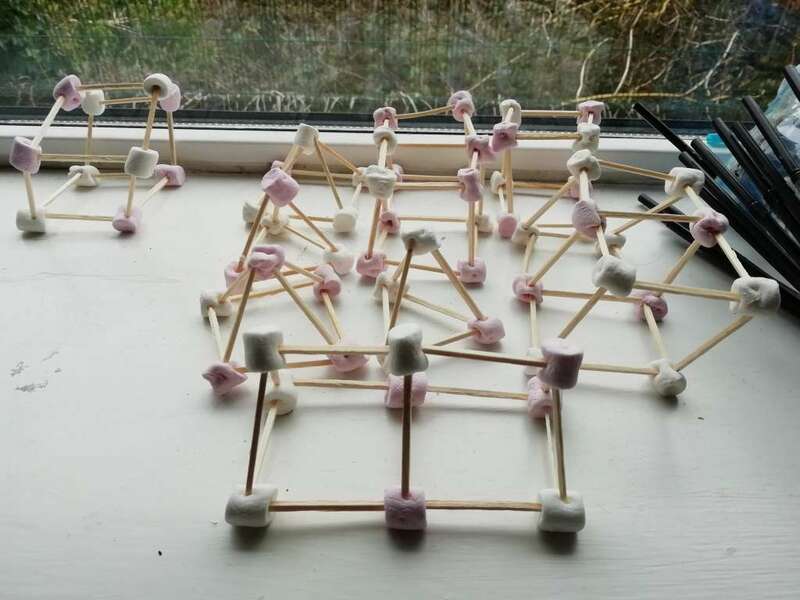 Take a look at how we got on. 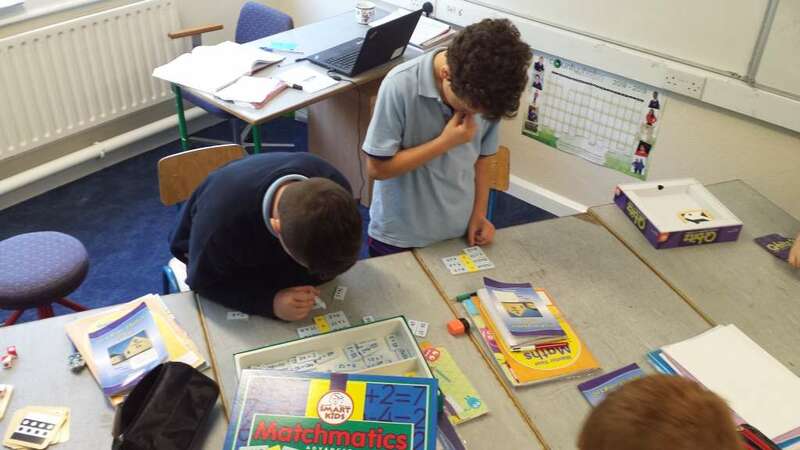 We got a lot of hands on learning with our maths classes during maths week. 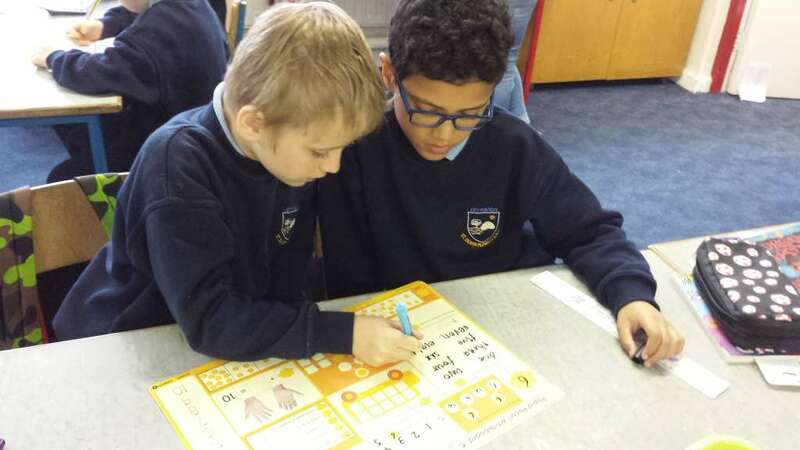 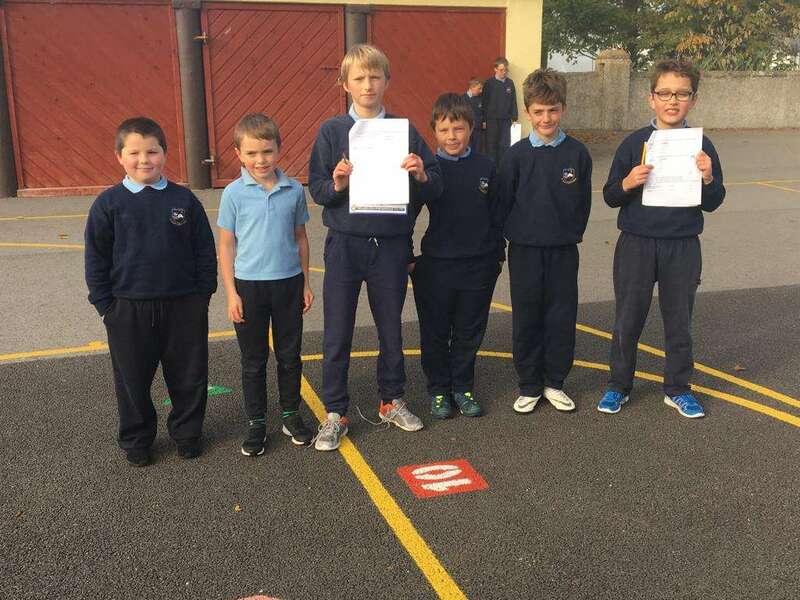 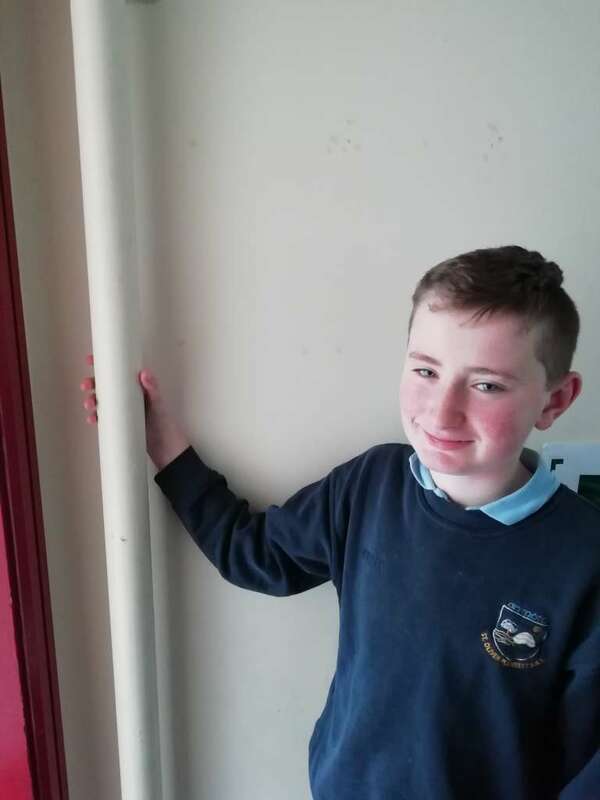 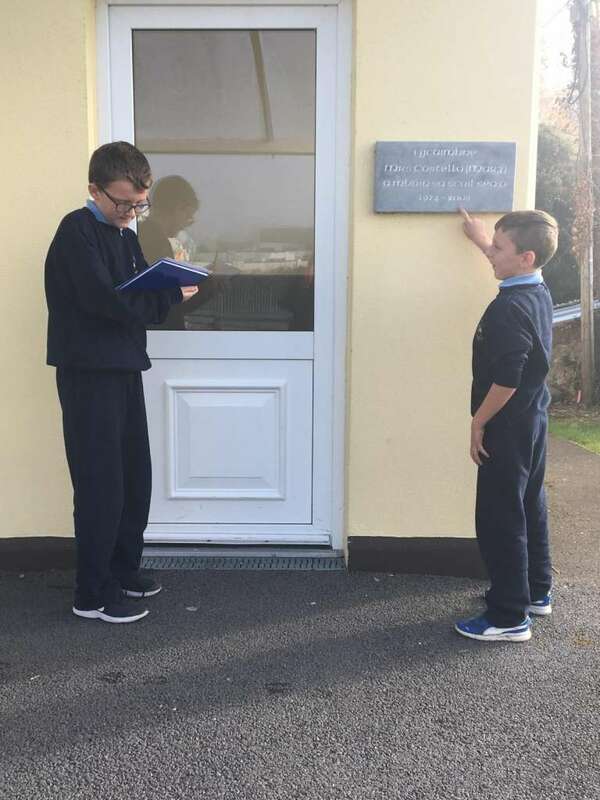 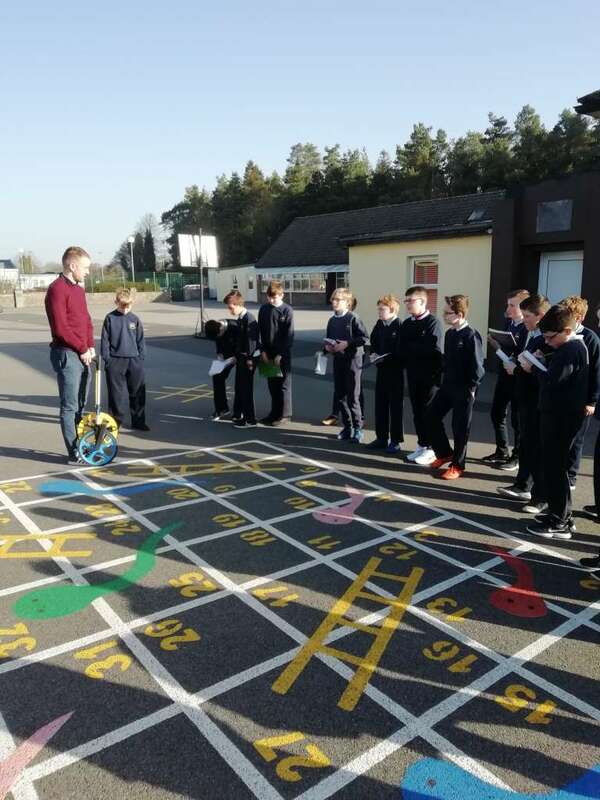 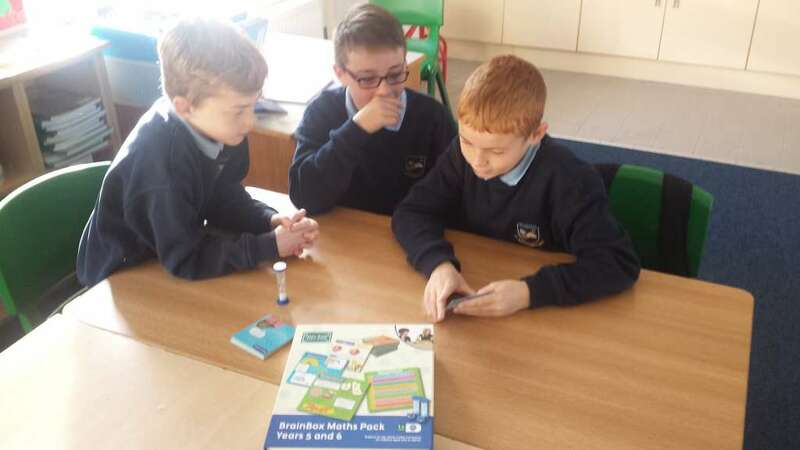 All classes took part in maths trail with Mr. Daly’s class acting as buddys to Mrs. Kelly’s class. 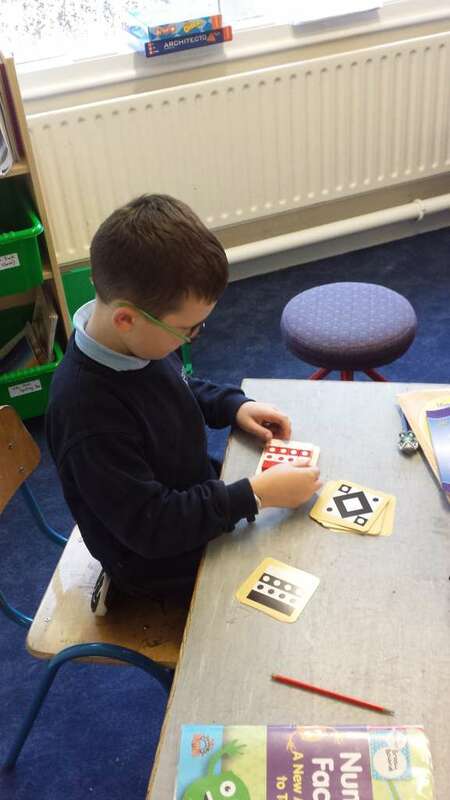 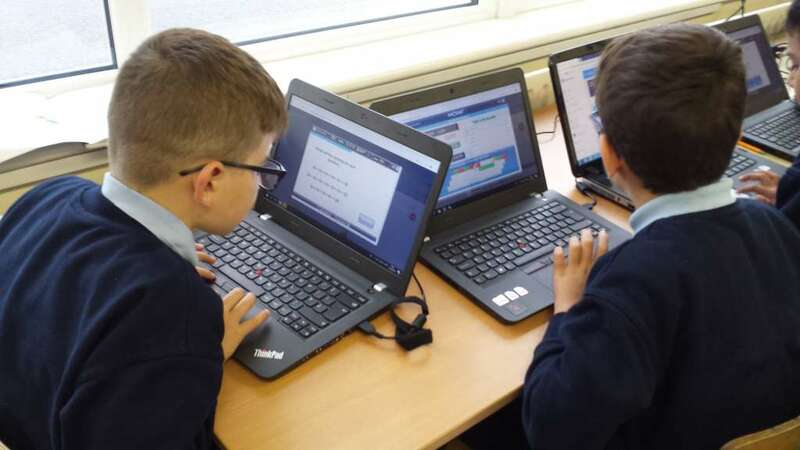 We got to play lots of fun maths games as well as using I.C.T. 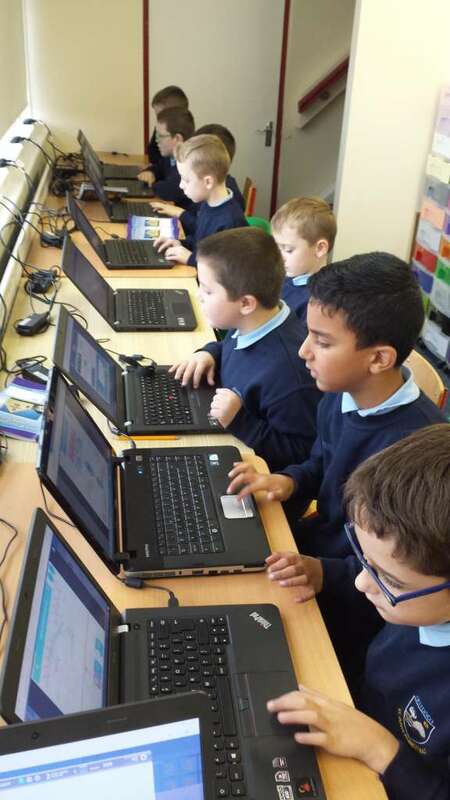 to play Mangahigh.